Lenox Photo Album, Best Wishes 25th Anniversary 4" x 6"
Silver anniversary. 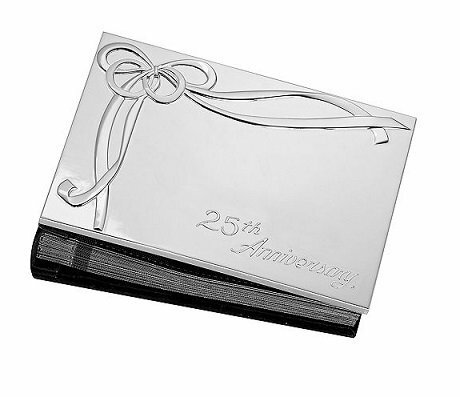 Look back on your happiest times together with this Best Wishes photo album, featuring a polished silver-plated cover engraved with "25th Anniversary." A thoughtful gift, from Lenox. View More In Wedding Albums.